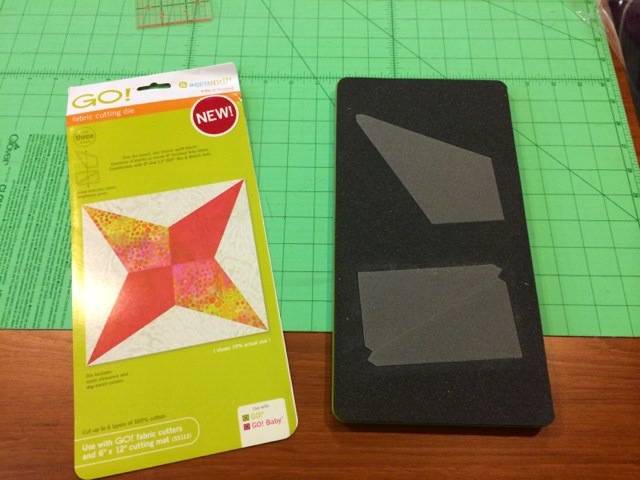 « AccuQuilt Blog Hop and New Dies! 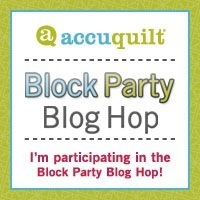 How are you enjoying the AccuQuilt Block Party Blog Hop? Have you seen something you want to try soon? Sue and I are about done with our Go! Kite project, let us know what you think! We got all the blocks made and got ready to design the quilt. I decided to sew them together in groups of four and then place them on point. To avoid sewing the four points together in one seam, Sue added lattice and cornerstones. 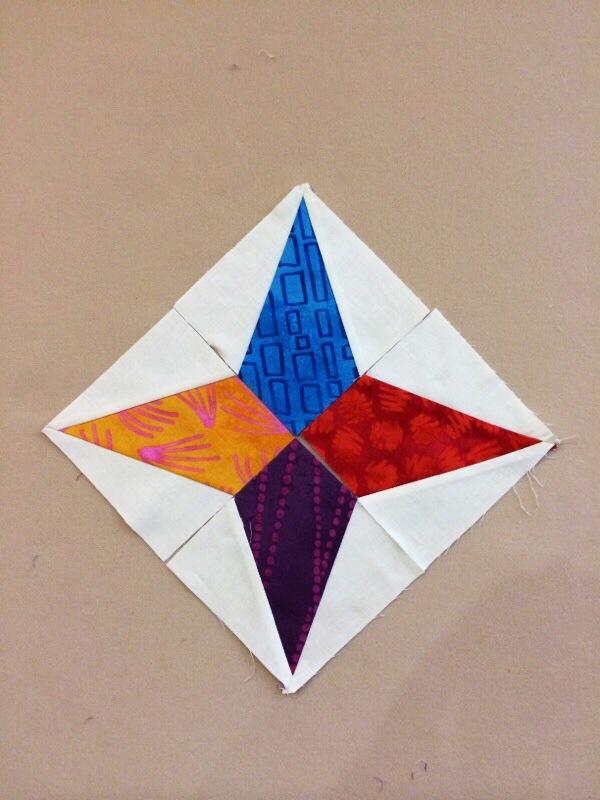 We used just the triangle part of the die to make this fun border. Make sure you cut pairs of fabric wrong sides together to get the mirror image. 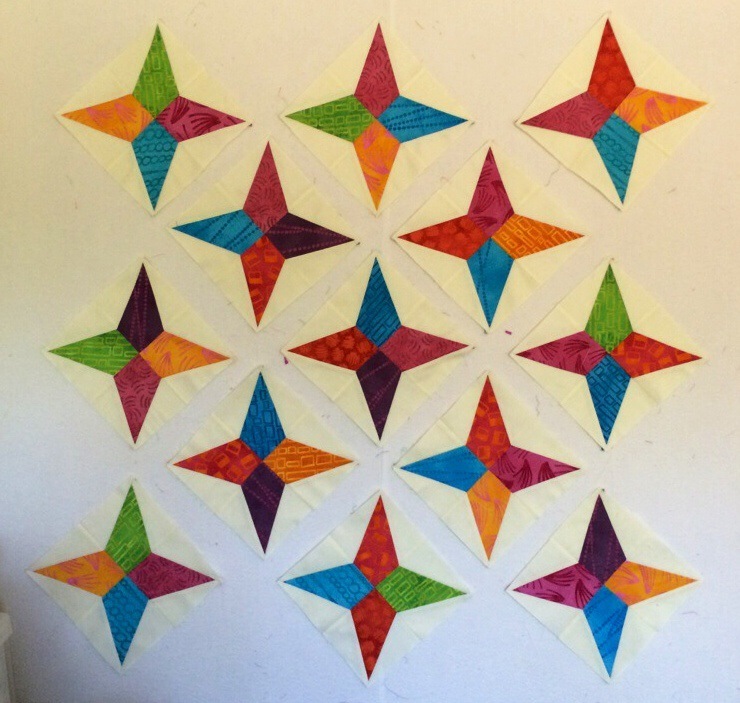 We got the top pieced together and ready to send to the quilter. 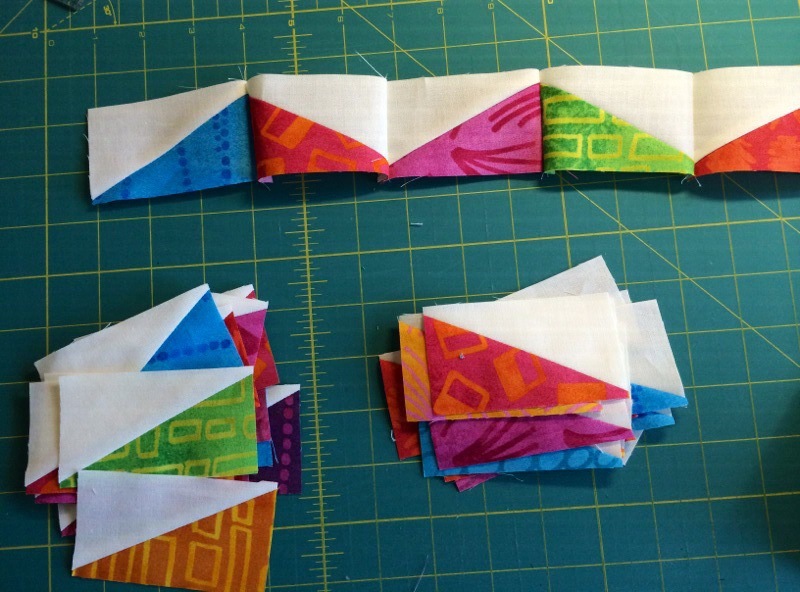 It went really fast with the Accuquilt GO and Kite die! 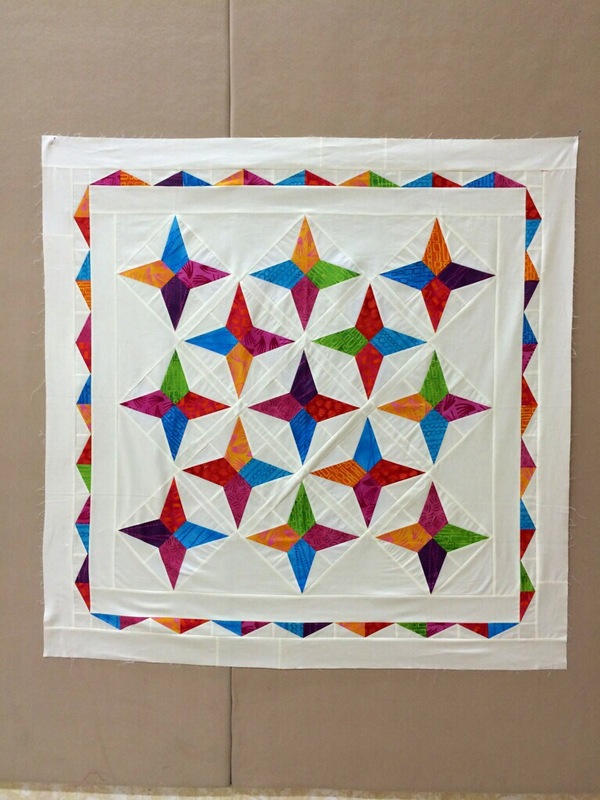 A big Thank-You to AccuQuilt for asking us to participate in their premier of their new Dies! 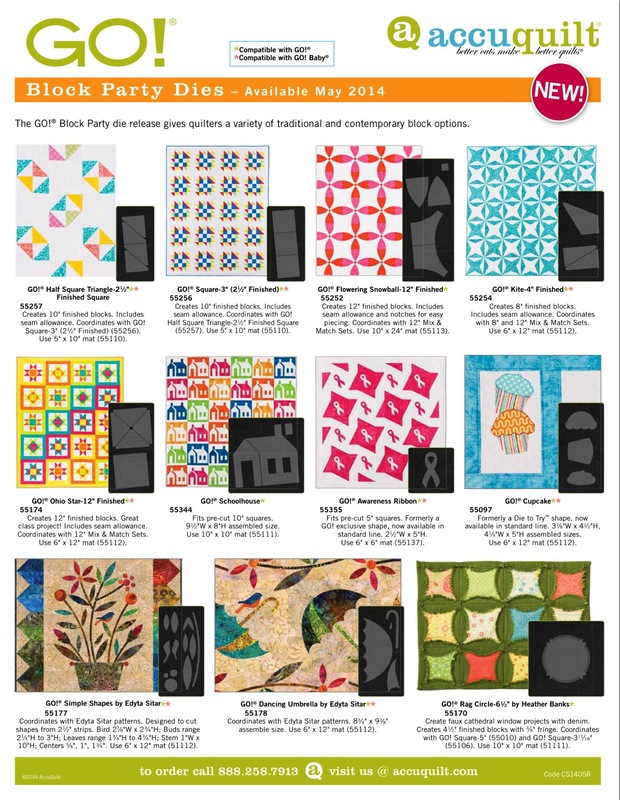 You can view the new AccuQuilt Dies here. 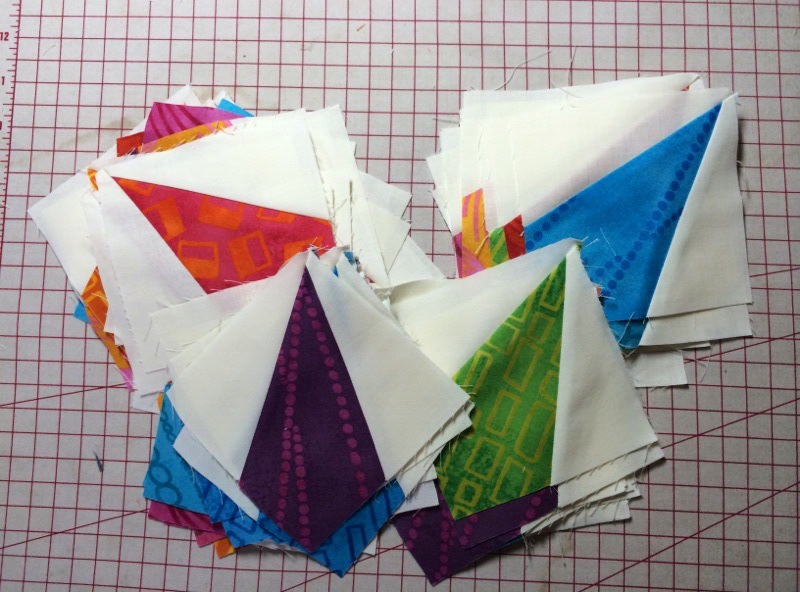 Also, “Hop” on over to Nancy Mahoney’s blog for tomorrow’s Inspiring Project post! This entry was posted on Wednesday, May 28th, 2014 at 7:00 am	and is filed under Blog Hops. You can follow any responses to this entry through the RSS 2.0 feed. Both comments and pings are currently closed. Wow! Love the bright colours against the white background! Using the sashing was a great idea to avoid the bulk. The border is such a compliment to the design. Well done and thanks for sharing!